1) Technological Capability: Unlike on Old Earth, the vast majority of Terragens live in environments created by Terragens (usually their ancestors, their relatives, or even themselves). Whether it is an orbiting hab, a re-engineered planet or moon, a virtual world, or a designer body, the average Terragen has no sense that 'nature' had anything to do with their life nor that it is anything they are at the mercy of. This, combined with ready access to automation (self-replicating or not) that allows individuals or small groups to perform feats once the sole purview of nation-states or global civilizations, means that the natural world is more often seen as a blank canvas to be remade at will, or a helpless innocent to be protected. Most Terragens have never experienced such planet-centric disasters as earthquakes, hurricanes, tornadoes, or tsunami and many have never even experienced weather or seasons that are not scheduled and managed from beginning to end. Instead, some of the greatest sources of fear and unease among modern sophonts are disasters stemming from major technology misuse or malicious entities of high toposophic level. These events can be, and in many cases are, seen and dealt with in a way similar to how ancient sophonts coped with major natural disasters in the pre-singularity age. 2) Material Prosperity: Definitions of wealth and poverty shifted drastically with the rise of the Sephirotics and the autotopian post-scarcity economy. Energy and materials are available to all, food (or the equivalent) is rarely scarce, and sophisticated manufactured goods are commonplace. In terms of the absolute resources available to them, even the least citizens of the autotopias are incomparably wealthier than the wealthiest pre-Singularity rulers and elites. This produces a number of secondary effects, including making crimes of property (theft, embezzlement, fraud, etc.) virtually non-existent in most places (with some notable exceptions). 3) Virtual Realities: For most sophonts their virtual environment may be "the" reality, and they may know and wish to know no other. Others may be content to observe the actual universe through sensors and translators, while a comparatively small percentage actually seek to experience life in the non-virtual universe, and embody themselves. In the other direction, most vecs, bionts, and cyborgs spend large portions of their life partially or entirely surrounded by virtuality. They incorporate augmentations that allow them to enter the virtual universes of the cybercosm with a thought, and employ Direct Neural Interface technology and exoself tools to view distant locations remotely, draw sensory information from the local environment, and access localnet and Known Net libraries as readily as they might access their own memories. Regardless of their origins, for the sophonts of Terragen civilization, the virtuality is as fundamental a part of their existence as the ril. 4) Morphological Freedom: A factor in both the diversity and relative peacefulness of modern civilization is the near total morphological freedom that most sophonts enjoy as a basic right. Biological and/or cybernetic alteration, augmentation, or complete redesign and replacement of the physical body is a trivial everyday occurrence while readily downloaded psychoware and superturing oversight make almost any conceivable mental adjustment nearly as simple. For virtual sophonts (making up the vast majority of the population) such changes are even simpler and may be engaged in multiple times per day or even per hour, depending on the circumstances. The use of such technology over thousands of years and hundreds of millions of star systems has rendered the ancient conflicts around race, gender, sexuality, and substrate beyond obsolete. Indeed, it is not uncommon for modern sophonts to require intensive instructional tacididaxy and psychological modification to even grasp the basic concepts on which those conflicts were based. 5) Longevity: Most modosophont individuals can extend their lifespan indefinitely, if they choose. However, after 2-3 millennia of existence, they have often changed so much that they have effectively become a different person. Additionally, suicide, accident, or migration into distant, abstract, or esoteric modes of existence may remove them from wider society. Death as a 'natural' consequence of old age is functionally eliminated since aging beyond adulthood is only exercised as an easily reversed lifestyle choice. Even when they do die, many sophonts are succeeded by "backups" who are, from the point of view of the backup and many of eir associates, the same individual, sometimes from an earlier point in their history. This tends to greatly reduce the rate of cultural change, while also greatly expanding the scope of what is considered a 'reasonable' timespan for a particular project or planning horizon. Decades, and eventually even centuries, come to be seen as trivial amounts of time, whether to achieve a particular goal or consider the urgency of a particular challenge. Attitudes towards ever longer and more complex projects, exotic self-modification, emigration into modes of existence with little connection to the 'ril,' or even ascension to a different toposophic level often become extremely relaxed. However, a series of smaller activities or changes, or even long periods of minimal personality change, are also quite common. 6) Inter-Clade Diversity: Unlike different human cultural groups, sophont clades do not usually assimilate one another through blending and intermarriage. This produces persistent diversity. Memes can cross gaps between clades, though their progress across clade boundaries can be uneven (see Intraclade Biases). Individuals certainly can, but rarely do in any permanent sense. Rather, there is a constant flow of individuals (~30 quadrillion per year) who are willing to undergo temporary substrate conversion to another clade and another, much smaller, flow of individuals (~2 quadrillion per year) engaged in the creation of new or hybrid clades through gengineering, provolution, neo-genesis, physical blending, or reproduction. The common trend in Terragen history has been that new clades are produced at a much higher rate than old clades disappear. 7) Intraclade Biases: Sapient bionts are predisposed by biology towards some memes, and resistant to others, and therefore tend to produce cultures within a certain range. Each terragen clade has a different set of "natural" biases, and in consequence a different natural range of cultures. The other clades are direct descendants, or were provolved or programmed by humans, so there are some similarities both deliberate and accidental, but also some significant differences. Xenosophonts provide another and truly alien set of biases in their interaction with the overall meme pool. Within the Civilized Galaxy transapient memetics (which have largely replaced the old ontologies of prior ages), psychoware, virtual overlays, and substrate conversion all help to build mutual understanding and mutual trust. But in the Outer Volumes and along the Periphery, where such resources may be harder to acquire, or outright rejected by local cultures, the odds of conflict can be much higher. 8) Mass Society: Nearly every existing clade maintains societies with interconnected numbers of people that would have boggled the mind of any Paleolithic (or even Information Age) human, who might not have been in regular contact with, or even aware of, more than a few dozen or a few hundred other sapient beings. In contrast, a combination of massively larger populations, wide ranging and rapid (sometimes instant) communications and travel, nearly unlimited living space, and various mental augmentations allow an individual to enjoy close personal relationships with thousands of sophonts encompassing dozens or hundreds of body plans, species, and memetics - often with little or no regard to the actual physical distance between them. Truly isolationist persons and cultures do exist, but they are the minority. A side-effect of this state of affairs is that so-called 'crimes of passion' are virtually non-existent in most places, and often channeled into socially approved exercises (ranging from AIvisor supported mediation to ritualized combat) in others. There are always exceptions to this state of affairs, but they are usually found only in the Outer Volumes and Periphery, with occasional instances in the less developed areas of the Hinterregions. 9) Archailect Rule: Humanity (to give the example of the original biont sophont species of Old Earth) is once again demoted to a secondary role and is no longer "in the driver's seat". The relative attitude of independence found between the Renaissance and the end of the Information Age is still present, and even encouraged, but has also evolved into something its originators on Old Earth might barely recognize. Propitiation - or at least consideration - of "gods" and "spirits" or, for the skeptic, forces which are intelligent but uncontrollable (the Archailects and Transapients) is once again the norm. A return to "magical" thinking is sometimes found among even the most self-reliant sophonts - and often with good reason. Human and other Terragen impulses to worship may or may not attach to the Archailects themselves, but the presence of the Archailects affects every religion and philosophy, even those which pre-date or actively oppose the influence of transapients. 10) Toposophic Stratification: Between the Archailects and the lower grades of sophonts are many intermediate beings. Some are fully sophont and independent; others are subsystems of the archailects. Some of these intermediates (lower and higher transapients, and lower archailects) have evolved and ascended from the modosophont condition, whereas others were created full fledged at their native toposophic level. Every level of transapient existence constitutes an entire kingdom of being, and state of galactic civilization and existence. While many have no interest in lower sophonts, others are concerned about their welfare, and some again (mostly beyond the boundaries of the Civilized Galaxy) simply exploit, enslave, or summarily destroy all examples of singularities lower than their own. Unlike the society of Old Earth, galactic civilization is stratified and multilayered as a matter of physical fact, rather than mere social convention. Some have compared this situation to pre-Industrial Age feudalism, or to the pre-scientific belief in hierarchies of angels, or "the great chain of being" in Old Earth Terragen thought. Others find such metaphors imprecise or misleading, pointing out that the level of interlayer and interstrata mobility available to most sophonts is unprecedented compared to prior ages and indeed that many of those on the highest levels seem to make a point of encouraging and assisting those below to rise to meet them as eventual equals. 11) Political Stability: Some AIocracies have remained in place, essentially unchanged, for thousands of years, like Egyptian society in the Age of Agriculture. Other AI "gods" have encouraged unprecedented stability in the lesser polities of the modosophonts who are under their direction. However, even in purely modosophont run civilizations, the combination of long lives, abundant resources (see Prosperity), cyberdemocratic governments, ready access to the relief valve of migration elsewhere, and a generally peaceful existence often lead to periods with little or no political change. War - while not entirely eliminated - is much less common than in prior ages. Within the Sephirotic empires and their associated cultures, thousands of years may pass between conflicts. Even among the comparatively 'wild' cultures of the Outer Volumes and the Periphery, warfare is usually something that any individual civilization only experiences once every few centuries or so. However, even this relatively placid state of affairs (when compared to earlier eras) means that there are thousands of ongoing conflicts in any given year, simple due to the sheer number of inhabited systems. 12) Automation and Employment: All high tech and above societies of the Terragen sphere have access to automation sufficient to match, and exceed, the capabilities of any sophont. Molecular manufacturing, robotics and non-sentient intelligent software have removed any need for sophont labour to provide for all physical or social needs. Material goods and good government are all equally trivial to provide and require no sophont effort. As such the majority of sophonts do not live in a society where employment or any other kind of market participation is required to meet financial needs. A plethora of alternate mechanisms exist from public credit to hyperturing-mediated allocation, the exact workings of which are optimised for local cultural values. While overall daily participation may be low, private markets also exist to varying degrees; in most places as niche systems for allocating rare or branded goods/services but in some societies the demand for sophont labour is so high that they dominate over more automated systems. Although modosophonts rarely have to engage in gainful employment, Sephirotic society is not one of non-stop idle leisure (although extended periods of such - sometimes measured in decades - are quite common). To a greater or lesser degree within the Civilized Galaxy, modosophonts are encouraged to engage within their community, most notably in the arts and recreation. Committees form and disband on a constant basis, focused around the interests of their constituent members. While some committees, often termed "clubs" may last for decades or even centuries, often with a stable membership, others may form, carry out their intended function, and disband within a single local day. A good example of the latter are the "jam sessions" of musicians and other artists that come together in many public spaces. These semi-organized events can trace their origin back to before the Information Age at the latest. One role of angelnetting in modern society is the matching up of individuals with others of similar interests. 13) Technological Stability: The rate of change from the point of view of SI<1 entities is much slower than it was during the pre-Technocalypse (Industrial Age through to Space Age) periods, though not so slow as it was during the Palaeolithic. Cultural patterns have had time to "settle" so that they match the tech chosen by a clade. Customs suited to a particular technology, and a particular time and region have sometimes been well rooted for millennia, and are nearly invisible to their inhabitants. 14) Depth of history: With the exception of deletions or distortions due to the Technocalypse or the memetic manipulations of transapients, Terragen history is accessible back to 4000 b.c.e. or before, providing a perspective spanning 16,000 years. Great thinkers of the past retain an effect, especially if they were the first to explore a new field, in which case they may still be remembered by name. Similarly, some religions are still active and even popular after many millennia of life. Others may be extinct or submerged but have a continuing memetic effect through descendant religions or general cultural effects. Likewise, some of the great art and literature of the past has not lost its appeal and status and has even been re-copied, translated, and imitated in new forms down through the ages. Even lifeforms and environments (ranging in scale from specific species or clades to entire habitats and planets) which seem to have left the public consciousness are still accessible through old records, and may be revived by new users adopting their template, sometimes after millennia of obscurity. Powerful software tools and abundant computronium also mean that high confidence historical models, recreations, and even potential 'alternative histories' are readily accessible or created by those with an interest. The availability of good records, expert translation programs, and easy individual access has led to a culture of unprecedented richness. 15) The Wormhole Nexus: Travel, trade, and even mass migrations across the Wormhole Nexus act to simultaneously homogenize and diversify cultures that are in contact with it. Homogenize since the art, artifacts, and inhabitants of millions of systems can rapidly spread across all of the space connected by the Nexus. Diversify since from the perspective of any individual system, the Nexus brings a neverending torrent of new art, artifacts, and sophonts from millions of other places that most would never encounter otherwise. 16) The Known Net: Much as with the Wormhole Nexus, the rapid spread of information across the Known Net acts to both homogenize and diversify cultures by meme propagation, but at a speed and scale that dwarfs that achieved by the Nexus mediated transfer of matter. Fashions and ideas, especially those with multi-clade appeal, have been known to sweep across whole sets of societies, affecting quadrillions of sophonts within a matter of days or weeks. As a result, the busiest systems hosting the larger Known Net Relays may experience a major new social or cultural paradigm shift (or two, or three, or four) every other week or so. 17) Light Speed Limitations: Outside the wormhole networks, cultures commonly evolve undisturbed for years, decades, or even centuries. This is a strong force for diversity, through cultural drift, founder effects, etc., even for cultures which are in contact with each other via the Beamrider Network and the Lightways. Unlike pre-singularity civilization, which in the end created a single inclusive culture that destroyed or strongly modified all others on Old Earth, the culture of the civilized regions in modern times is not a pervasive and all-powerful solvent. Diversity and novelty persist, although many of the strongest and most vibrant local cultures can exert a localized influence encompassing dozens of light-years and as many solar systems. Sophont or transingularitan collective society, usually with development of agriculture, arts, sciences, technology, sentient rights, infrastructure, social services, and so on. 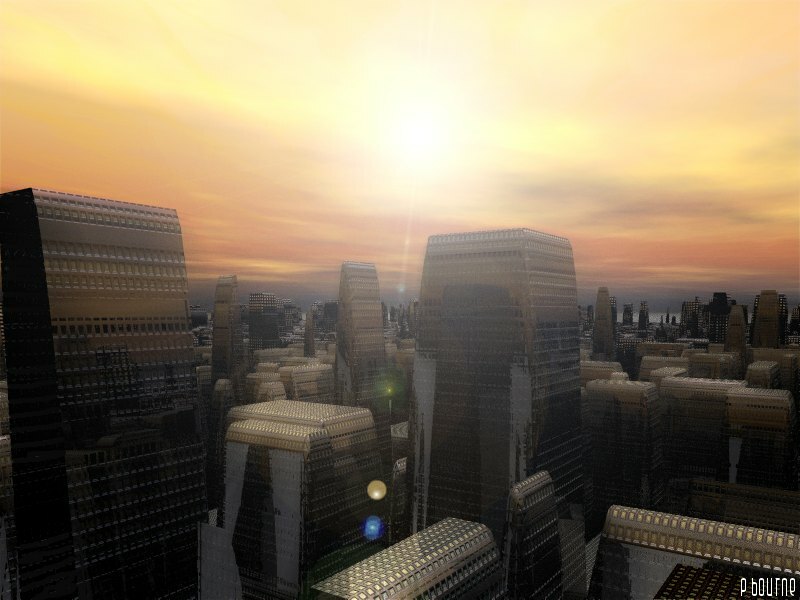 Population figures for the Terragen Sphere in 10600 AT. An expanding sphere of civilization/technology, spreading outwards using von Neumann Probes or simple colonization. Judging from how most life behaves, it will gradually restructure matter and energy inside itself in various ways. The totality of AI-ruled space. Initially published on 18 February 2001.